Yes, Ireland is rugged. Yes the mountains, lakes and coastline gets raw and elemental. And yes, a traditional music session or a festival can err on the side of friendly mayhem. Ireland’s wild side is well known. For now, let’s dip into the land of luxury. Why not start by taking to the skies? Nothing quite matches the scenic views offered by a hot-air balloon flight, and private launches can easily be arranged around the island. 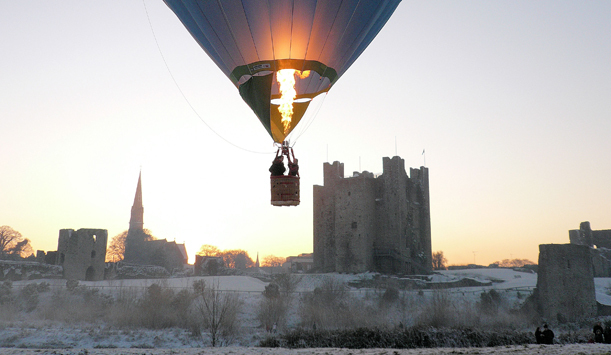 Imagine pitching up at Trim Castle – a star location in Mel Gibson’s Oscar-winning movie, Braveheart – and hearing the burner roar, before floating over the historic Hill of Tara, or the passage tombs of Newgrange and Knowth. Or maybe gliding above the standing stones and gold-toting hills of the Sperrin Mountains? Afterwards, celebrate with an Irish coffee. 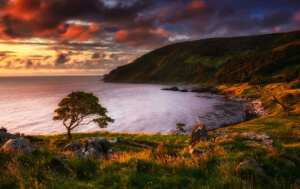 Alternatively, take a helicopter tour for views over the Twelve Bens of Connemara and the Aran Islands, or the magnificent Causeway Coastline and the green Antrim Glens. Speaking of birds, you could always learn a thing or two from those who fly naturally. Falconry is said to be the oldest sport in the world, and there’s no more dramatic background against which to try it than with a private tutor at Ashford Castle in County Mayo. Afterwards, the luxuries of one of the country’s finest five-star castle hotels await. 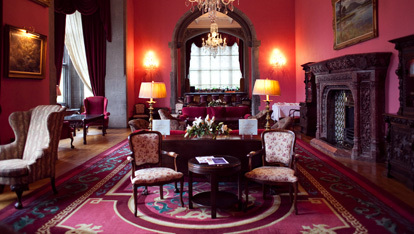 How about a whiskey tasting masterclass in the Old Library at Adare Manor in Limerick? Or salmon fishing at Ballynahinch Castle in Connemara? You could privately hire O’Brien’s Tower at the edge of the Cliffs of Moher, and enjoy tasty seafood and hot whiskeys to the strains of a Celtic harpist. 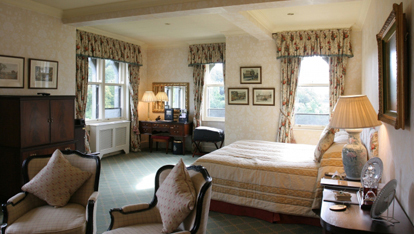 At some castles and stately homes, you can even be a treasured house guest for a few hours. 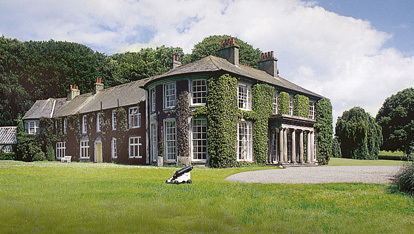 At beautiful Ballywater Park in County Down, for instance, Lord and Lady Dunleath will treat you to lunch, followed by an afternoon of archery and shooting on their estate. Visiting a vast country manor, a country house fringed by gardens is always a treat. How about staying in one? Hidden Ireland has spread its cloak and gathered the finest country home and historic house B&Bs in the country. From manor homes in the Wicklow mountains and ivy-covered mansions in Down their net spreads countrywide. Ireland’s Blue Book is a listing of similarly decadent domiciles and if you choose right from the Irish Landmark Trust’s properties you could be King/Queen of your very own castle. Life is fun when it’s wild or rugged. That doesn’t mean there isn’t room for a little luxury. Ireland is proof of that.